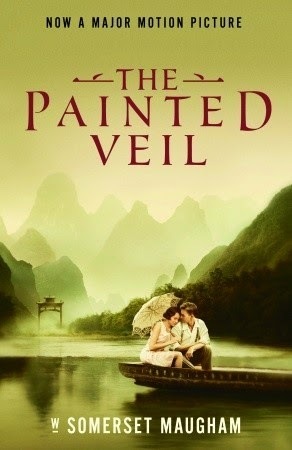 The Painted Veil opens on a post-coital scene in which Kitty Fane and Charles Townsend are discovered by Kitty's husband. He then whisks her out of Hong Kong to a village in the midst of a cholera epidemic, where he will be ministering to patients at great risk to his own health. Kitty quickly becomes bored with staying home and volunteers to help out at the convent, where she gains a new perspective on her husband and reassesses her past mistakes. Kitty had married Walter out of desperation. She enjoyed her youth a great deal, passing up proposal after proposal until suddenly she was 25 and unmarried and her younger sister was engaged to a baron. Kitty's next proposal was from Walter, who was about to leave for Hong Kong, and she took it to marry quickly and escape her sister's wedding. This isn't a recipe for a happy marriage, and Kitty spends much of the next few years in turmoil. First, is the affair with Charles, who she naively believes will divorce his wife and marry her. Then, her life in a cholera-stricken village as she gains new respect for husband, but that comes too late. What is most appealing about Kitty is that she is so genuine and her predicament so understandable. Maybe she's not the most strong and admirable woman, but who among us is? Kitty really underestimated Walter. She made some serious decisions lightly, with unpleasant consequences. Throughout the course of the book she had to deal with many uncomfortable truths, but I think she became a better person for it. Poor Kitty just wanted to be happy, but her happiness was rare and fleeting. I felt hopeful at the end, even though she had lost so much by then, and I like to think she made a satisfying life for herself later. Here is a character I'd definitely like to check in on a decade or so down the road, just to see how she's doing. I don't think I read any reviews of this book before reading it, but I know that what made me interested was that it is set in Hong Kong. Indeed, it reminded me a bit of The Piano Teacher, which was also about British people in Hong Kong having affairs. There is a certain simplicity to the writing, but it is nonetheless beautiful. The style reminds me a lot of other books from the 1920s and I savored it the same way, enjoying the language as much as the story. The Painted Veil was first published as a serial in Cosmopolitan, which just goes to show you how far that publication has fallen since the 1920s. I read a copy from my library, and almost didn't take it - it's the 1935 edition and has many interesting stains on it, but man, the pages are like resume paper. So satisfying. I don't think this is a classic that you hear about much, but I liked everything about it.